There are two relatively common medical conditions that are treated by the same therapist and afflict the same type of patient—usually stroke patients—which sound virtually identical but are very different issues: dysphagia and dysphasia (pronounce them out loud and you'll see how similar they are). Both of these conditions are caused by neurological damage to the brain that comes from injury or a stroke. Both dysphagia and dysphasia are treated by speech therapists and both have to do with a person's ability to control muscles in the mouth and throat. Dysphasia is difficulty speaking. It's one of the main symptoms of a stroke that is easily recognized and should be a red flag. A sudden onset of dysphasia indicates the possibility of a stroke or of sudden brain injury. Paramedics say it a lot when reporting to the hospital on our patients in the back of an ambulance. Most paramedics will recognize dysphasia immediately and it is an important indicator of the patient's condition. Dysphasia is often mistaken as being the same as confusion, but in reality the two are completely unrelated. 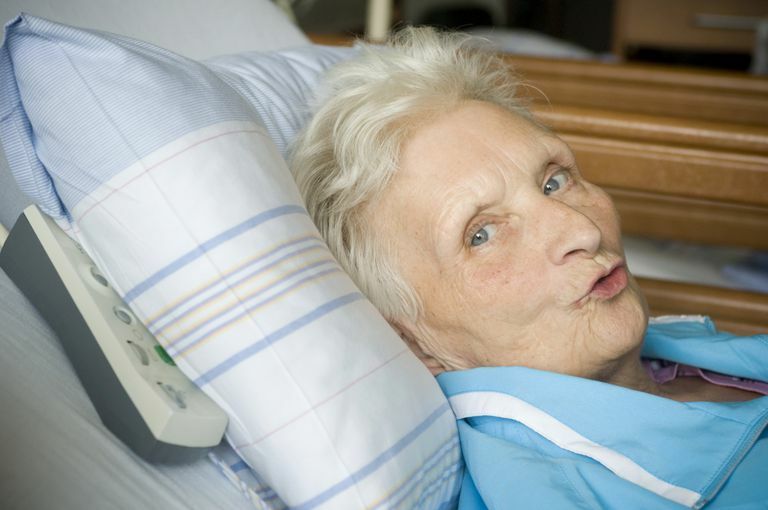 It may seem that when a patient is unable to say what she wants to that she is confused. Patients with dysphasia can't communicate verbally, but they often know exactly what's happening. Normally, they can hear perfectly and while they might not understand why they can't say what they want to say, these patients can usually understand what is said to them. Confusion, on the other hand, is the inability for the patient to fully understand his environment or situation. It's also possible for a patient to have trouble saying anything at all after a stroke. Patients who can't say anything are said to have aphasia (no speaking). Again, they might be able to understand completely or at least understand concepts, even if the exact words don't make sense to them. To a medical professional who suspects a patient might be experiencing a stroke, there is no significant difference between aphasia and dysphasia. Either one indicates difficulty either processing language in the patient's brain or in the part of the brain responsible for controlling the muscles of the tongue and throat. Dysphagia, on the other hand, is difficulty swallowing. Dysphagia is also a symptom of a stroke or injury to the brain, but it's not as readily detected by emergency medical personnel. There's virtually no reason or way that a paramedic would have to test this in a patient. Paramedics don't give very many oral medications in the ambulance. The one common oral drug is aspirin, and we typically give that for heart attacks. Aspirin is currently contraindicated (meaning recommended not to be used) for strokes. That might change, but for now it isn't one of the drugs a paramedic gives a patient suspected of experiencing a stroke. However, dysphagia is a huge problem in the hospital because a patient needs to eat. When paramedics transfer patients between facilities, it is extremely important for them to understand what a nurse is telling them during the verbal report. Since the two terms sound exactly alike, it can be very easy to misunderstand the message and think the patient is having a hard time speaking. It is commonly true that patients who've recently had a stroke can also have trouble speaking, which further complicates the issue. It's extremely important for clarity during a verbal report between caregivers, especially since caregivers are often going to transfer the information down the line in a healthcare version of the telephone game. It makes a lot of since for caregivers to use proper medical terminology, which usually leads to better understanding. These two terms are the exception to the rule. In this case, it might be better to be plain spoken and just say the patient is having difficulty swallowing. When a person who's had a stroke has trouble swallowing—dysphagia—there is a danger of aspirating or choking. Choking is having something block airflow in the trachea. Aspiration is inhaling food or fluid into the trachea. It doesn't completely block breathing like choking does, but aspiration can lead to pneumonia and even death. If the caregiver taking over care doesn't realize the patient can't swallow, the patient could end up becoming even worse. González-Fernández M, Brodsky MB, Palmer JB. Poststroke Communication Disorders and Dysphagia. Phys Med Rehabil Clin N Am. 2015 Nov;26(4):657-70. doi: 10.1016/j.pmr.2015.06.005.